Keeping your dog worm-free makes sense not only for his health but also yours. 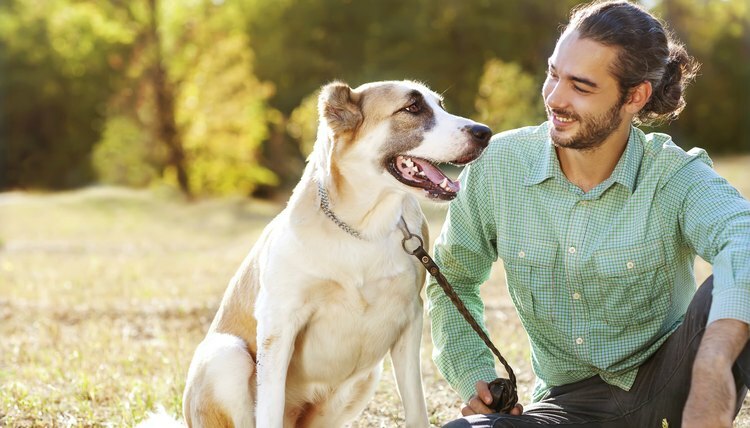 Roundworms and hookworms, the intestinal parasites killed by Heartgard Plus oral medication, can easily be transmitted to the human members of a dog's family. These once-a-month beef-flavored chewables, safe to give to puppies as young as 6 weeks of age, also prevent heartworm infections. Puppies can contract roundworms in their mothers' wombs, through her milk or by contact with the feces of an infected animal. In puppies and adult dogs, a large population of these parasites can even block the intestinal tract. Signs include diarrhea, vomiting, a swollen abdomen and visually identifying the white worms in an infected dog's feces. When hookworm larvae make their way into a dog's intestinal tract, they latch on and feed on tissue, causing inflammation and blood loss that can lead to anemia and even death, especially in puppies. The larvae can be transmitted to puppies by nursing or in contaminated soil, but unlike roundworms, hookworms can also penetrate skin. Weakness, diarrhea, weight loss and faded gums are among the symptoms of infection. Heartworms can be deadly. After invading a dog's body, the arsenic-based course of treatment required to kill them is long, risky, miserable for the dog and still might fail. Before starting Heartgard Plus, have your dogs tested to ensure they aren't already infected. If not, this medication prevents heartworms from establishing themselves in your dog's body. PetEducation.com: Can People Get Worms from Their Pets?